Quartz points are always different and individual. 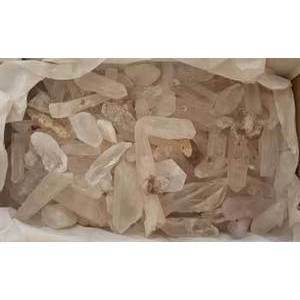 This flat of crystal points has all shapes and sizes, each with different clarity and inclusions. These are clean and ready. Count varies by wieght. Sold by flat weight only not count. Sizes range 3/4" - 4"